Raphael Mathis, better known as Pac Da Great, was an artist from the notorious neighborhood of Adamsville in Atlanta, GA. Pac made a name for himself on the West side of town as an upcoming rapper and a well established pimp. Well renowned artists such as Ludacris and Killer Mike, both credit Pac as a major influence on them. Killer Mike, who is from the same neighborhood as Pac, cites him as a mentor while Ludacris was one of the few disc jockeys to give Pac's material a meaningful rotation in the underground club scene. After serving a stint in the state prison, Pac hooked up with Virgil "Da Brain" Brannon and Marcus "Lil' Bo" Skrine of Get Funky Records. 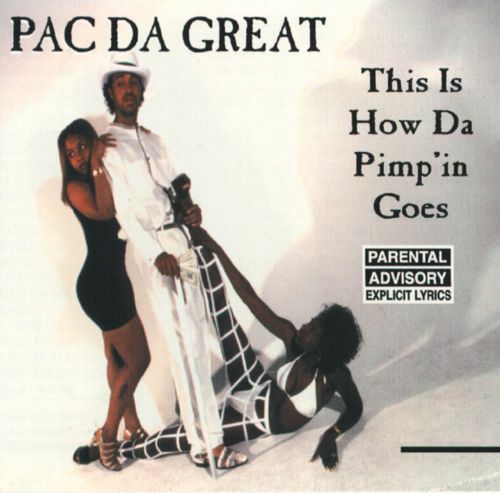 This Is How Da Pimp'in Goes is his debut album and it was released in 1994 on the aforementioned label. Production in its entirety is handled by Private Eye and it is quite excellent to say the least. His encoding pattern is very funk and bass driven. This results in a melodic overdose of smooth bass lines which are fused with groovy guitar licks and finished off with some twangy keyboard strokes. This sort of flavorful approach sets the right foundation for the artist and certainly tips its' hat to the division of Southern Funk. 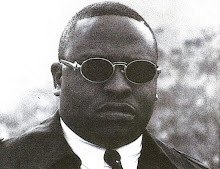 The producer and the artist also decide to include a few cuts that pay homage to the Bass scene which was really prominent in Atlanta during the early nineties. The record is also lyrically potent. Pac is very resilient upon the microphone and it shows in his rhymes. His laid back tone and the pimp tight persona are something to behold. His impeccable delivery is also accompanied with some strong word play which in turn makes for an exceptional combination. Although his approach is methodical and some might even say basic but there is never a dull moment in the verses. Subject matter is pretty much kept in the "Pimps & Macks" category but there are times where the artist will leave this comfort zone and that is where he truly excels. He also makes some bold statements regarding the pimps in the neighboring state of Tennessee, Orange Mound Memphis to be exact. While he does not say any names, one can easily sense that he is referring to the legendary duo known as, 8-Ball & MJG. Guest appearances are made by Code 3, Private Eye, Big Roe and Donata Echols. All in all, this was a formidable release and it is one that definitely left its mark on the genre of Southern Rap. Not only because of the compelling content but also because of the untimely and tragic demise of Pac Da Great. According to his mother Cassie Mathis, Pac was killed in a car accident on September 27th, 1996. He was the passenger in the vehicle and was ejected on impact. His body was then crushed by a fleet of Semi Trucks. He was only twenty five years old. Rest in peace to one of Atlanta's finest.